"I don't want them to lose that part of their life like I lost." "My service was big turnaround in my life. I was brought up in Brooklyn, New York and I was a punk kid. I went to boot camp; they made me shave off all my hair and everything. It was an unbelievable experience; I came out a different person than I went in. "They give you the test, the aptitude test and everything and I became a jet engine mechanic. From war I actually got home, hung up my uniform and never even admitted to being a veteran. Like I said, that went on for 34 years. "Now I work at Middlesex Community College with the Oasis Center working with the veterans. I don’t want them to lose that part of their life like I lost. So I’m there to be supportive. That very first year that I joined the Marine Corps League, they entered the Veterans Parade in Hartford. What was amazing to me is when we’re marching down the street, every big corner, even on the side streets, people were applauding, shouting. It brought tears to my eyes. It was like a welcome home. 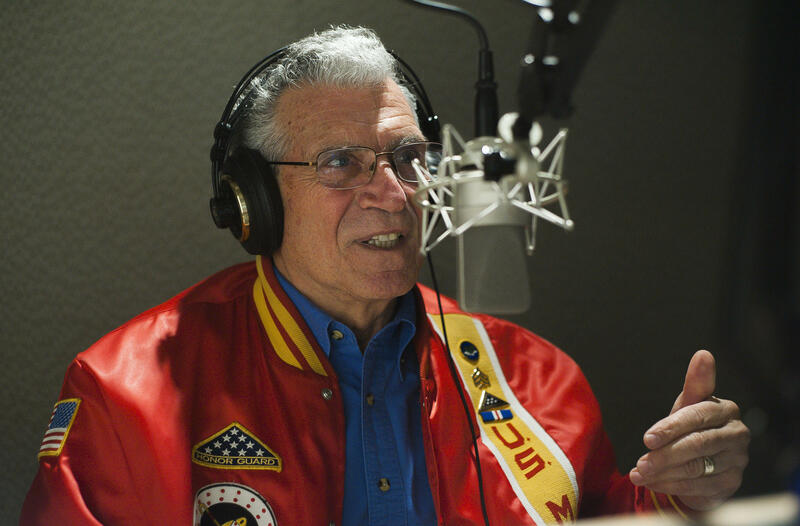 Peter Galgano visited WNPR and talked about his advocacy for veterans today. "I’m not going to say I’m old, but I’m a lot older than the veterans at the college. It’s like we’re brothers. No matter what branch of service you’re in, even the ones in the National Guard, and the Coast Guard, we’re all veterans; we all served, even the reserves. "You become a veteran by signing that blank check up to and including your life. And a lot of people that never served don’t know that. And I guess that’s what brings everybody that close together. And even more importantly, how many Americans lost their life in these wars so that we can have the freedoms that we have today." Peter will be marching in the annual Connecticut Veterans Parade on Sunday, Nov. 8.It's New England's largest veterans parade, beginning at 12:30 p.m. near the State Capitol Building in downtown Hartford. The parade will include a military flyover by a C-130H aircraft from the Connecticut Air National Guard’s 103rd Airlift Wing.